Twitter’s standalone Mac App is getting a much needed update; it now supports Moments, polls and GIF search. 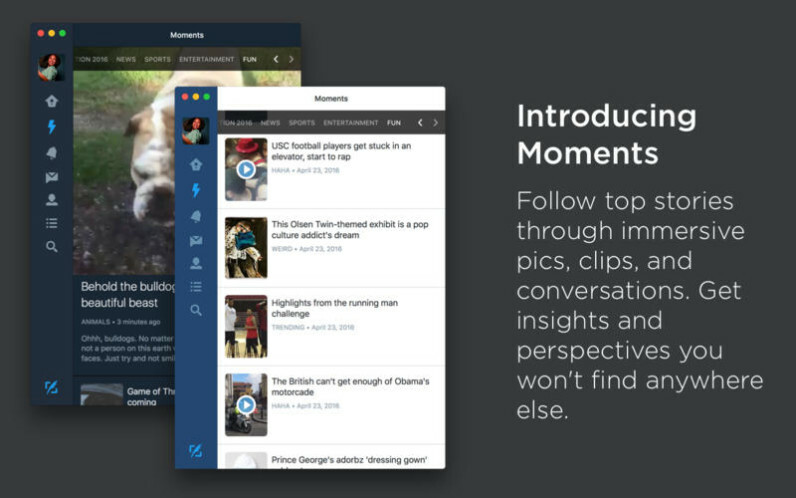 If you’re not familiar, Moments was launched in October to spearhead Twitter’s attempt at becoming a new source. It pulls in multiple tweets about individual current events, but unlike trending topics, they’re formatted to be easily browseable and are curated by actual human editors. Polls are exactly what they sound like, with a couple of caveats. You can only choose two options, and polls can only remain active for 24 hours. Meanwhile, integrated GIF search means you can start typing a tweet and easily view GIFs from both Giphy and Riffsy to attach to your tweet without having to visit either company’s website. Given that Moments and polls have been widely available since October, and GIFs search since February, the update has been a long time coming. At that point, most users would probably rather just use the Web app, but better late than never, I guess. You can download the updated app from the Mac App Store now.